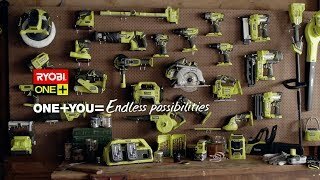 Deliver the precise and powerful cut you need with the RYOBI 18V ONE+ Brushless Jigsaw. This powerful unit keeps you in complete control of your project. The LED work light makes sure you’ll have complete visibility of the material even in the toughest cutting positions. And to ease the effort of work, the entire unit weighs only 2.2kg. That low weight comes from the clever design of the brushless ONE+ motor. This motor delivers 40% greater performance than its brushed equivalent, increasing your overall cutting speed and runtime. And to increase performance further, the blower function and dust port can prevent clogging, mess, and slowing your progress down. This power can be applied to a variety of different materials, thanks to the Brushless Jigsaw’s pendulum action and variable speed. 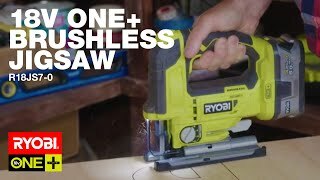 For the ultimate power and performance in jigsaw cutting, grab yourself a RYOBI 18V ONE+ Brushless Jigsaw from your local Bunnings Warehouse.